Nature had very strangely created such an unusual place. Its oddity lies in the fact that several biomes are located here at once, which are complete opposites of each other. If you start from the edge you will see a cold winter, a lot of snow and frost. It is logical to assume that further there is something less cold with a small temperature drop, but this is absolutely not the case. 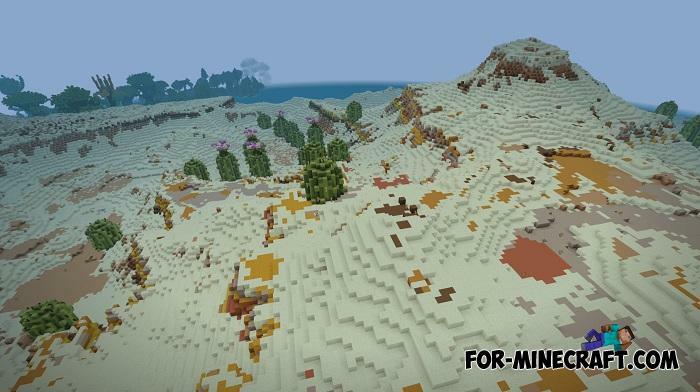 The desert is located behind the snow biome and next to it you can find a forest and the sea. As a local flora, giant cacti grow in the desert. In some of them you can build something similar to a small square house. 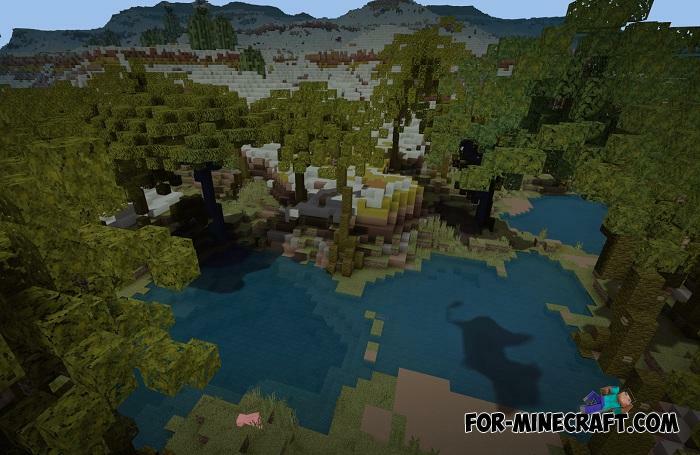 This is a unique place that could not be generated by Minecraft Bedrock. Mysterious Sea addon for Minecraft PE 1.5+This addon combines his previous addons for MCPE, thereby creating a fairly massive and very excellent content that you just need to install..